You’ll probably need to suspend an account for some reason at some point in the future. Accounts can also be suspended automatically due to bandwidth overage. 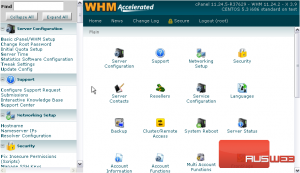 In this tutorial, you’ll see how to suspend and unsuspend an account in WHM. 1) Go to Account Functions. 2) Click the Suspend/ Unsuspend an Account link. 3) Choose an account’s username or main domain name from the respective list. 4) Provide a reason for suspension, if you want. 5) By default, an account’s reseller will be able unsuspend the account. Click this checkmark if you don’t want them to be able to do that. 6) Click Suspend or UnSuspend, whichever action you wish to perform on the account. We’ll be suspending this account. The account has now been suspended. All access to this account should now be locked. 7) To verify, let’s go to List Suspended Accounts. Here is the account we suspended. 8) You can Terminate and permanently delete this account using this button, if you wish. 9) Or, lift the suspension from the account with the Unsuspend button. That’s it! The account has now been reactivated. This tutorial is now at an end. 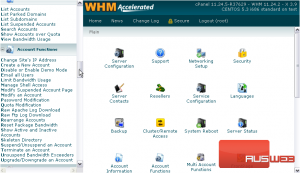 You have learned how to suspend and unsuspend an account in WHM, and how to list all suspended accounts.